In a perfect world, everyone wanting to have a baby would have no trouble being able to conceive easily and naturally. Unfortunately, many couples struggle with natural fertility in Melbourne and throughout the world and often find it hard to conceive and/or carry a pregnancy to term. We offer naturopathic fertility treatment at Melbourne Natural Medicine Clinic, a natural fertility clinic that focuses on a holistic naturopath pregnancy approach to help couples understand fertility issues and work to treat them. Our fertility naturopath Melbourne tries to determine if difficulty conceiving is due to issues such as stress, toxicity, nutritional deficiencies, and/or hormonal imbalances. For example, a man’s sperm count might be too low, there may be a hormonal imbalance in one or both partners, and even lifestyle factors such as diet, alcohol or smoking may be responsible. With years of experience providing effective treatment for natural fertility Melbourne wide, we can offer natural IVF support and natural medicine to help you. Is Stress Affecting Your Ability to Conceive? Our fertility naturopath Melbourne sees couples struggling to get pregnant all the time. Often, the solution can simply involve relaxing and avoiding too much over-thinking and planning. Never downplay the effect stress can have on your ability to conceive. The reproductive system is noticeably impacted and inhibited by stress, which obviously affects your ability to conceive a child. 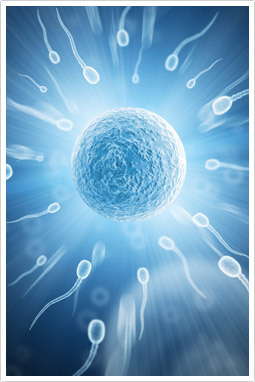 Our natural infertility treatments for men and women offer a natural way to combat this and also address other potential drivers of your infertility or poor sperm count. Your ability to fall pregnant can also be affected by your body’s toxicity. A high level of toxins can make it very difficult to conceive and bring a pregnancy to full term. If you seek a fertility naturopath for pre-conception care or natural fertility at Melbourne Natural Medicine Clinic, we can recommend a comprehensive integrated detoxification program involving both digestive repair and liver regeneration as a crucial first step to improve your chances of success. As part of the natural medicine for fertility we provide, our naturopaths offer specialist detoxification programs that improve liver clearance of hormones and toxins that can impede fertility. Excess weight can result in a range of fertility complications for both males and females. It is also a common cause of issues such as low birth weight, premature birth, and miscarriage. A fertility naturopath at Melbourne Natural Medicine Clinic can assist if you are overweight and finding it hard to get pregnant. An experienced fertility clinic, we can provide you with the necessary dietary advice to facilitate healthy weight loss, make better dietary choices, and boost your intake of the essential nutrients for fertility and a healthy pregnancy. To ensure your child gets the best start in life, it is crucial that both parents involved in its conception are in prime health. Both parents should have sufficient body stores of vitamins and minerals to generate energy, foster a healthy metabolism, promote healthy foetal development, and reduce stress. Your fertility naturopath at Melbourne Natural Medicine Clinic can recommend natural fertility treatments for men and women including nutritional supplements to support fertility and nutritional status. Is a Hormonal Imbalance Affecting Your Fertility? A significant factor in a couple’s ability to fall pregnant is the presence of a hormonal imbalance. Essentially, it’s extremely difficult to conceive if there isn’t the right balance of hormones involved. Luckily, MNMC offers a range of natural medicine for fertility such as herbs and nutrients that may restore your hormonal balance and improve your chances of conceiving. Speak to your naturopath pregnancy specialist about how they can help you. To increase production of testosterone and other male hormones, plus support the male reproductive system, we suggest taking a combination of natural remedies for male infertility including tribulus, horny goat weed, and damiana. These herbs and nutrients boost virility, fertility and sperm production, working together to invigorate the reproductive system and increase libido. Women can improve their ovarian function, increase their libido and enhance their fertility by taking a combination of different remedies including shatavari, dong quai, and rehmannia. This herbal blend works to improve hormonal balance, regulate the menstrual cycle, and wholly enrich the reproductive system. If you’re experiencing difficulties with fertility and would like to know more about natural infertility treatments, make an appointment today with a natural fertility specialist at Melbourne Natural Medicine Clinic. Our highly qualified fertility naturopaths are happy to provide you with more information on preconception care and natural support of your reproductive health. You can make an appointment online, email us, or call us on (03) 9686 2566. Our clinic at 49 Chetwynd St, North Melbourne, is open six days a week.